I recently had an epiphany – I realized that picking the right data management platform is a lot like picking the right baby food, and to illustrate this, I would like to share a story with you that may be a bit more personal than your typical data management blog. Two months ago, my wife and I met with our family pediatrician for our daughter’s six-month checkup. Everything seemed to be going well until the end of the visit when our doctor, looking mildly concerned, mentioned that our baby girl was at the very bottom of the “normal range” with respect to weight. In fact, compared to all the other hypothetical babies out there in the statistical universe, our daughter was solidly at the bottom of the curve, in the 1-3% range. Although the doc assured us that there was nothing to get too concerned about just yet, it was high time we figure out how to get our baby to eat more solid food. 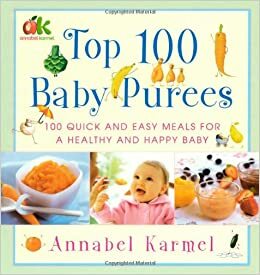 Ultimately, our baby story had a happy ending thanks to a blog in which the author recommended we read Top 100 Baby Purees by Annabel Karmel. It turned out that the right recipe (in our case a mixture of avocado and banana) made all the difference in the world, and our baby gained over a pound in her seventh month, reversing the trend and making her parents very happy. It would be an understatement to say that a book on baby purees is a niche read but, hey, the same could be said of the data architecture, business intelligence, and database administration tomes which stand right next to it on the bookshelf. The epiphany came when I realized that the arc of the story, in which specialized knowledge was adapted to solve a important problem, felt very familiar. A year ago, I was chatting with a customer who had built a data lake on a Hadoop platform and, much like my experience at the six-month checkup, the customer thought everything was going smoothly… until it wasn’t. It turns out that the ever-changing complexity of their end-user queries, combined with rapidly expanding data volumes, was causing unacceptably slow query response times. Recently, in a very different conversation, another customer mentioned they were exploring machine learning possibilities using TensorFlow and R, but the process of extracting and moving data from their database to their algorithmic platform was painful and slow. In both scenarios, I found myself recommending tailored data management architectures made uniquely possible by SAP HANA®. For the data lake challenge, SAP HANA’s Vora service allowed the customer to provide a Hadoop data interface while also supporting OLAP queries based on traditional star schemas – all within the same platform. This dramatically sped up analytic query response times while, at the same time, preserved the Hadoop-style query grammar that most of their data consumers preferred. For the machine-learning-speed struggle, SAP HANA could embed R, or TensorFlow-trained, algorithms – bringing the algorithm directly to the data rather than slowing the process down by shipping data to the algorithm. This resulted in much faster response times. For both customers, it was vitally important that they use the right data management recipe. I suspect that our marketing folks might not be thrilled that I am comparing SAP National Security Services’ broad data management expertise to baby purees, but, at this particular phase in life, as a parent, I can think of no higher praise. If you have a project you really care about, are encountering issues, and working on a tight time line, please let me know. We have a few recipes that might help. Kenneth Johnson is a Technical Director with SAP National Security Services where he manages the Proofs of Concept and Rapid Prototyping practice. His technical career spans 20 years in a variety of roles ranging from C++ development, database administration, enterprise architecture and analytics. Ken's team at NS2 is charged with accelerating innovation and transformation through the combination of proven enterprise solutions, the best visualizations, and the latest predictive analytics algorithms to prove tangible value within 90-day spirals in a range of DOD and IC environments. Ken received his Bachelor's degree, and Master's in Information Systems Management from Harvard University.